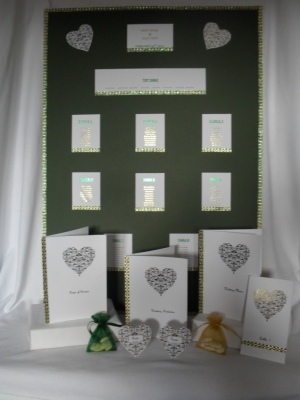 A scrumptious dark green and gold foiled wedding stationery collection. 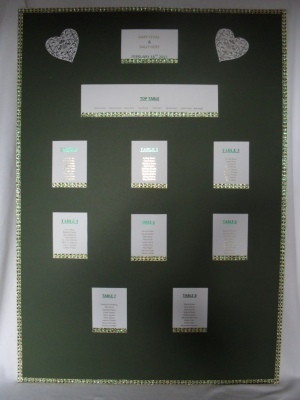 This collection contains: 1 x A1 seating plan for 8 tables, top table, name of bride & groom & date. 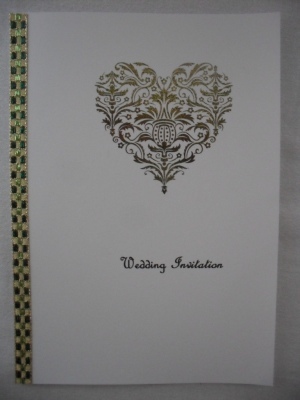 50 x wedding invitations. 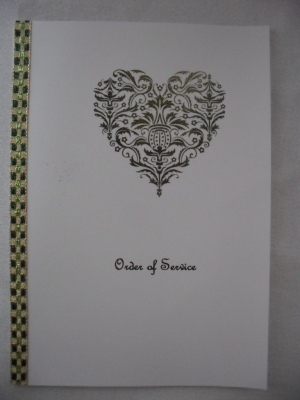 50 x order of service. 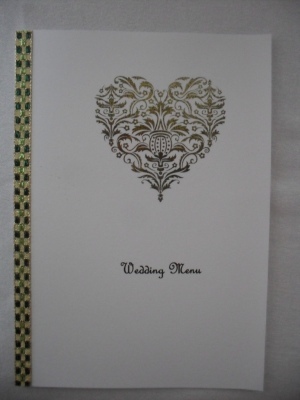 10 x wedding menu cards. 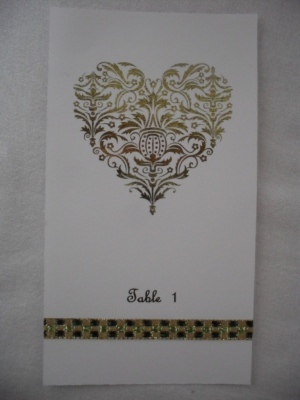 8 x table number cards. 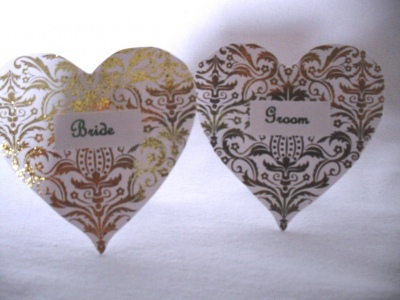 100 x heart place name cards. 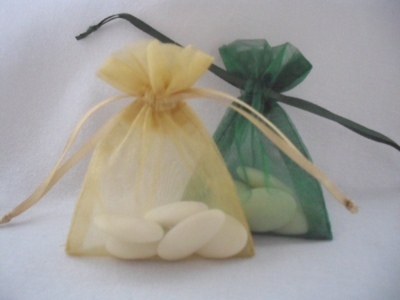 100 x organza wedding favour bags complete with a choice of sugared almonds or chocolate dragees. This collection can be altered and re-priced to suit your needs.